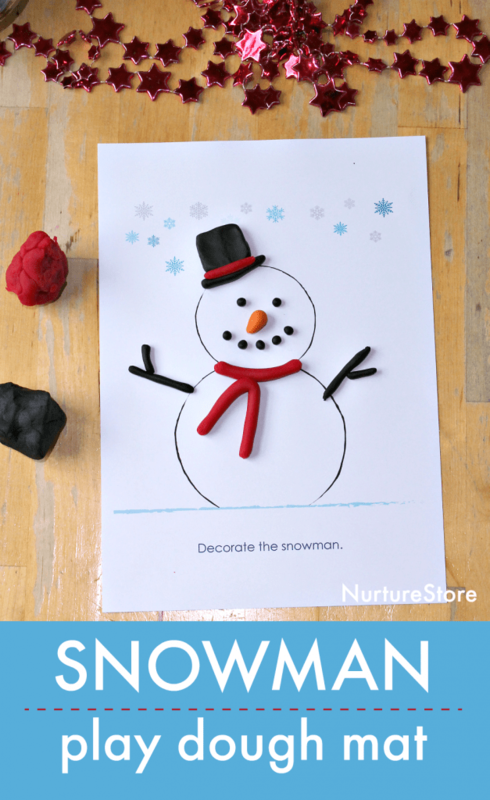 This snowman play dough mat printable is great for Christmas and winter sensory play. 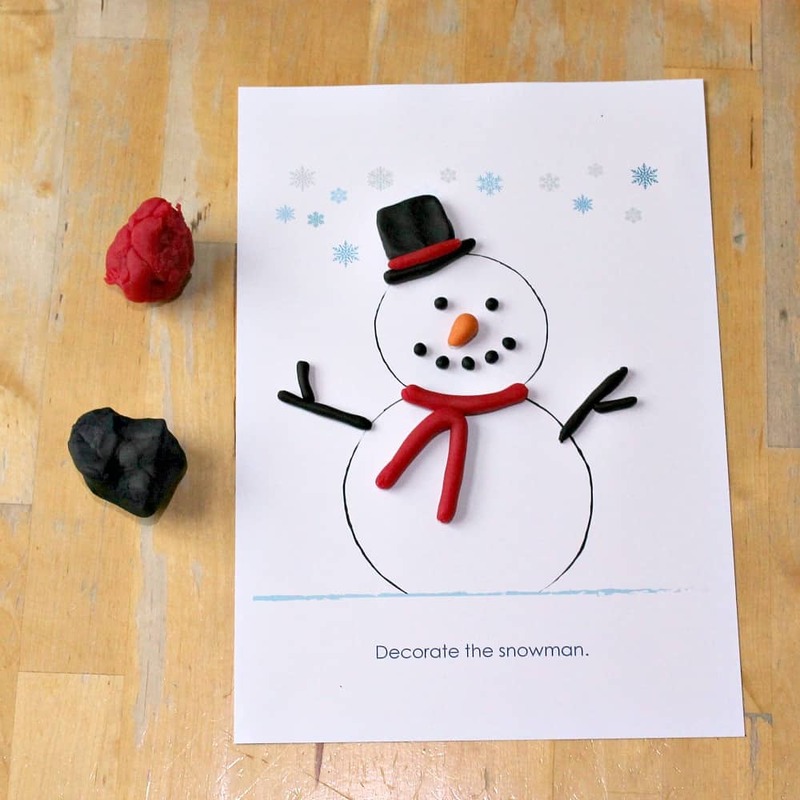 Print the snowman play dough mat (see how below) and set it out with play dough – perhaps in the colours black, brown, orange and red. Invite your children to decorate the snowman. They can roll balls to make eyes and a mouth. Make ‘sausages’ to create a scarf. Don’t forget a hat to keep him warm! All the rolling and shaping of the play dough is a fantastic workout for fine motor skills. If you’d like a very white dough, you can try this snow play dough recipe. The mat also makes a perfect snowman coloring page. 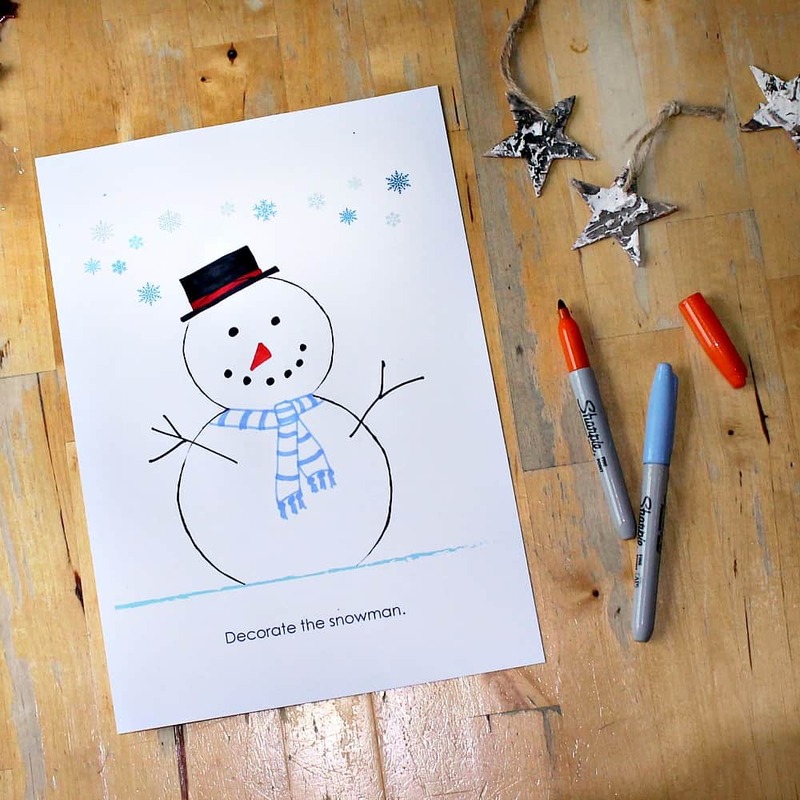 Set out the printable with pens or pencils and invite your children to draw in the details.